First, note that Process Safety has been around about as long as Occupational Safety at some companies. For instance Dow Chemical and others have implemented process safety since about 1900, and Olin and Monsanto and others since the 1970s. It certainly didn’t start with the BP TX city refinery accident in 2005. In fact, there was loss prevention symposium papers on process safety for more than 50 years and process safety symposiums for about that long. The main management system tools we use today for process safety were developed in the 1960s. But, the understanding of human factors and its impact on process safety did not really start until the 1970s; that is when the management systems to build better operating procedures, maintenance practices, MOC, ORR, etc., really grew rapidly by sharing across companies. In 1985, the AIChE started the the Center for Chemical Process Safety (CCPS), and the first industry standard on PSM was written then; with the elements of PSM being pulled together by about 20 companies at that time (including the ones listed above). 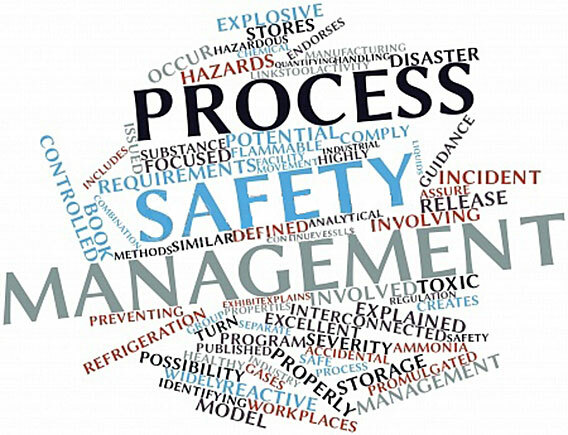 The first full textbooks on process safety began to be written in 1985; by the time of the BP TX city accident there were 100+ textbooks on process safety, mostly written by CCPS committees. So, PSM is not new; though it appears to be very new to some companies. Yes, process safety accidents happen everyday. They will continue to do so as long as sites do not implement process safety correctly and with discipline. But, there are companies that have implemented PSM correctly for decades and have not had any process safety accidents; including at large, complex sites. The same is true for occupational safety. It has been around for a long time and the management systems for occupational have existed since about 100 years at some companies (like process safety), but in the majority of companies for 50-70 years. The tools for occ safety began to be formalized that long ago as well; i have not tracked occ safety back as others have done (there is good literature, if interested), but JSAs (one tool) has been around since the late 1930s. And occ safety accidents continue to happen everyday. In fact, more workers each year are killed from falls from heights alone (occ safety accident) than from process safety accidents (fires, explosions, toxic releases). There are far more acitvities where occ safety can occur, of course. The process safety accidents are much more spectacular when they occur; and as mentioned earlier the process safety accidents tend to destroy assets and production and reputation on a large scale. So, all fields of loss prevention (or safety, if you prefer) are relative old and the idnustry accepted practices seem to be improving (especially on the understanding of Independent Protection Layers, relaibility of safeguards, surveillance, and human factors). But, implementation of process safety, occ safety, etc., is still incredibly weak in some companies or sites… these lead to accidents. Take the BP TX city accident as one example. Note how many independent layers of protection were Not being maintained in that case; any one of these layers would have prevented the outcome. Note the poor implementation of controls of human factors such as lack of control of fatigue (a fitness-for-duty element in process safety for more than 30 years and included in the first industry standards on process safety in the late 1980s) that increased error rates by the staff by more than 10 fold. When implementation of process safety elements are weak, or missing, then loss rates are high and the probability for catastophe greatly increases. Some note that US OSHA PSM has not prevented process safety accidents. This is true. This is partly due to weak implementation (mentioned earlier), but also note that it is the weakest of the industry standards on process safety. Instead, study and follow Risk-Based Process Safety (AIChE/CCPS) or the Process Safety Code of Responsbile Care (ACC, SOCMA, others)… these industry standards are much more complete.